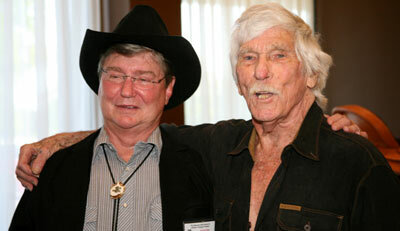 Western Film Festival Photos--Memphis 2012, page 3 (gallery 17). 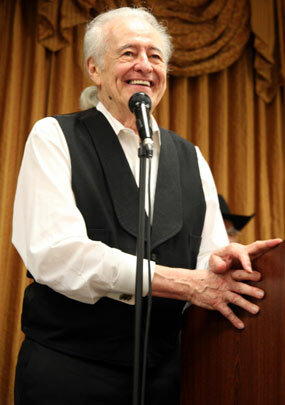 Photos from “A Gathering of Guns 4—A TV Western Reunion” at the Memphis Film Festival, co-sponsored by WESTERN CLIPPINGS, May 31-June 2, 2012, at Whispering Woods Hotel and Convention Center in Olive Branch, Mississippi. 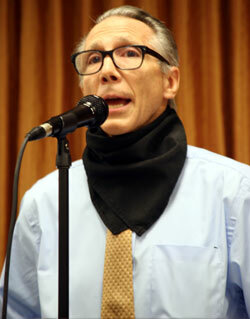 Johnny Crawford flawlessly began the banquet with a beautiful a cappella rendition of our National Anthem. Co-sponsors of “A Gathering of Guns 4” at the Memphis Film Festival, Ray Nielsen and Boyd Magers. 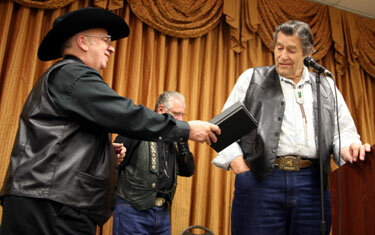 Packy Smith received an award from Ray and Boyd for beginning the Memphis Film Festival in 1972 when it was dedicated to B-western stars. 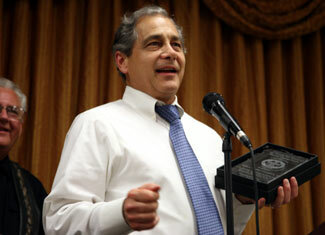 Bobby Crawford receives his award at the banquet. 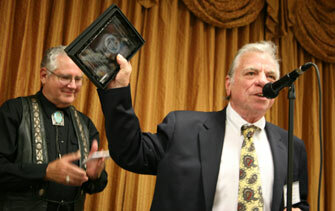 Bobby Clark thanked everyone for his award. 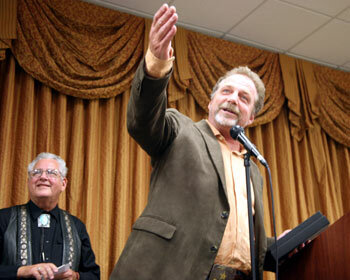 Emcee John Buttram is behind him. 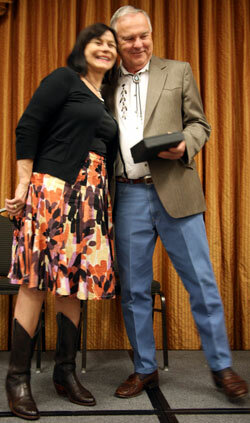 Festival co-sponsor hands Clint Walker his award. Darby Hinton thanks the group for his award. John Buttram behind him. 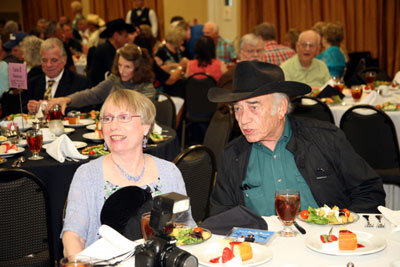 “The Virginian”, James Drury, chats with Donna Nielsen at the banquet. Bobby Clark and his wife Vikki Young are behind them as are radio recreation director Gary Yoggy and festival stalwart Harold Mathews. 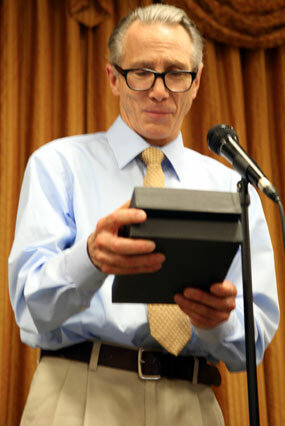 At the banquet, Ed Faulkner rises to accept his award. His wife Barbara is seated beside him. 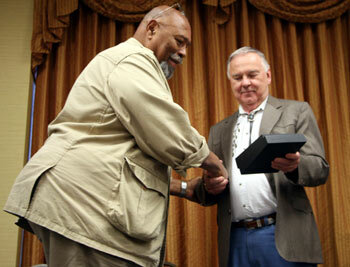 Don Pedro Colley accepts his award from Boyd Magers. Diane Roter receives her award from Boyd Magers. 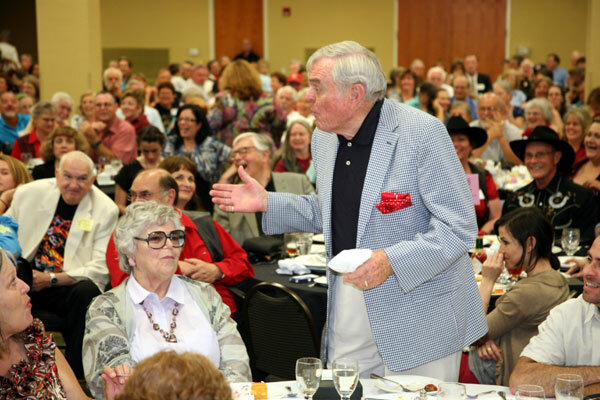 Henry Darrow gave an eloquent thank you for his award at the banquet. 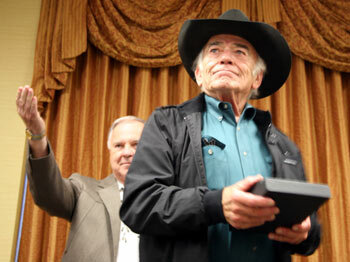 “The Virginian”—the one and only James Drury receives a well-deserved award on the 50th anniversary of the series. 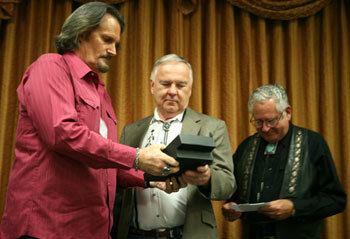 Boyd Magers and John Buttram present an award to the son of “The Rifleman” Jeff Connors. 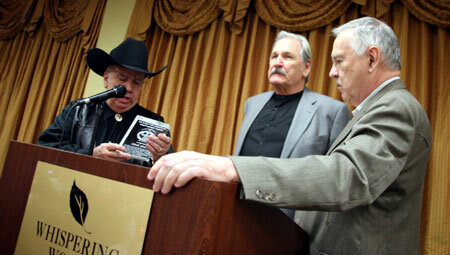 Johnny Crawford, Mark McCain on “The Rifleman” looks at his award. 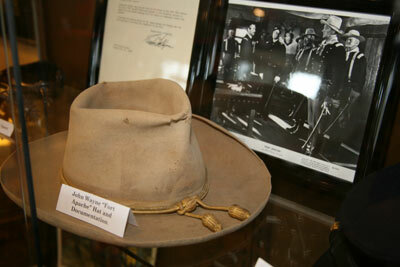 Artifacts on loan to the festival and on display from the Boyd and Donna Magers Collection included John Wayne’s hat from “Fort Apache”. 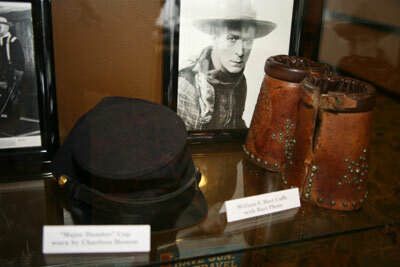 Other items on display from the Magers Collection included a pair of cuffs worn by William S. Hart and Charlton Heston’s keppie from “Major Dundee”. 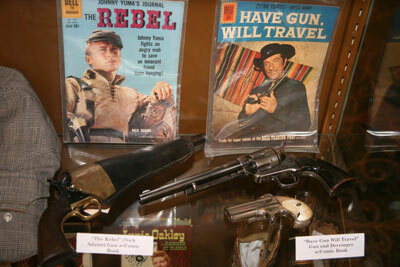 Still more from the Magers Collection were Nick Adams’ pistol and holster from “The Rebel” and Richard Boone’s pistol and derringer from “Have Gun Will Travel”. To the left is the edge of Rex Allen’s shirt from his first film “Arizona Cowboy”. 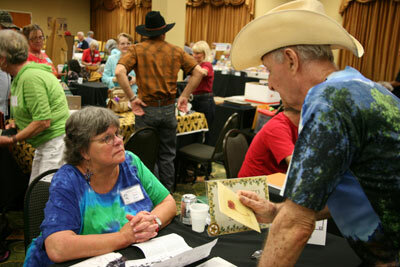 In the crowded dealer’s room, Sara Lane of “The Virginian”, talks with an admirer. 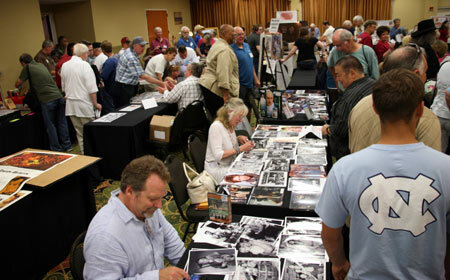 Darby Hinton and Veronica Cartwright, brother and sister on “Daniel Boone”, sign autographs for fans in the dealer’s room. Don Pedro Colley can be seen standing in the tan jacket. 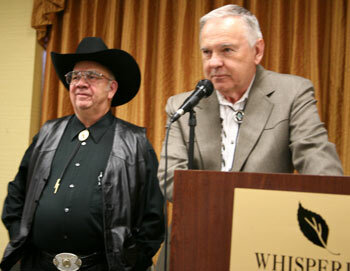 Randy Boone and L. Q. Jones. 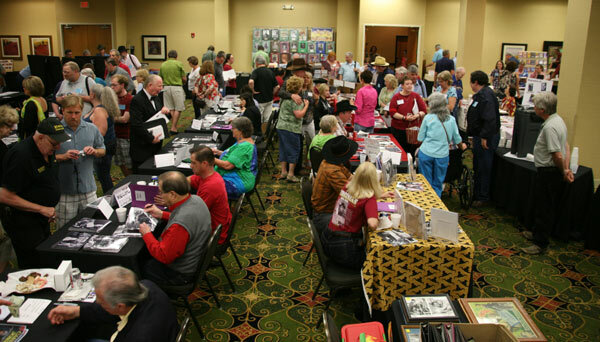 A very busy dealer’s room. 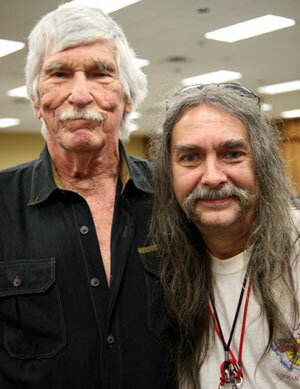 L. Q. Jones poses with the festival's indispensable sound and engineer technician Ken Price. 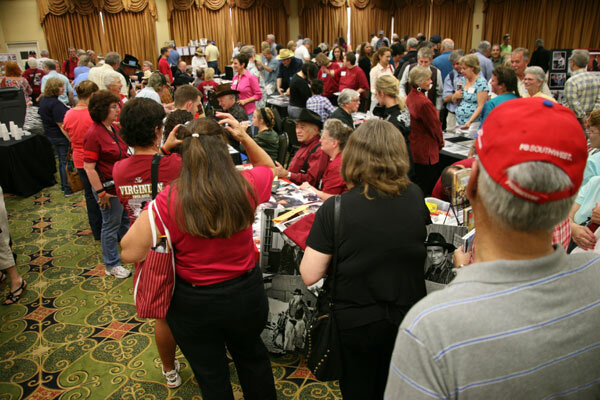 In the dealer’s room you can spot Bobby Clark (bottom left), Charles Briles to his right, Sara Lane and Diane Roter to Briles’ right. Randy Boone and Don Quine are behind them in black hats. 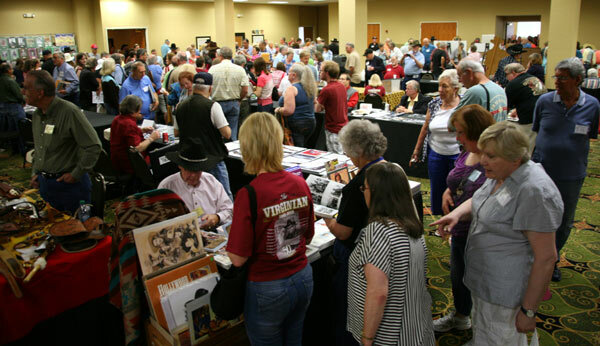 Fans congregate to meet “The Virginian”, James Drury. 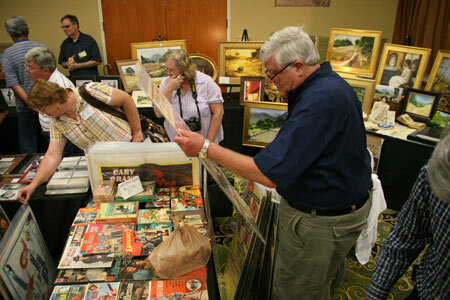 Another view of the ever busy dealer’s room. We are happy to report all dealers and vendors had outstanding sales. For those of you on FaceBook, the festival compliments Linda Crowley (right) for her continued FB support. 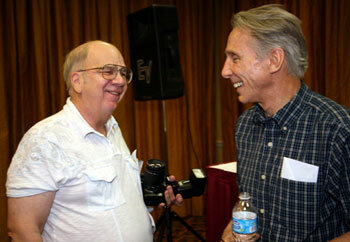 Festival co-sponsor with Johnny Crawford. More photos on page 1, 2.